The Racing Horse offers our Racecourse Template for Chepstow tomorrow. We look at the performance of the different disciplines in both handicap and non-handicap National Hunt races at the course. A cursory glance at the two sets of figures show a disparity that must be factored into thought processes! Surely the figure to recognise and absorb is that 46% of FAVOURITES in non-handicap races over hurdles WIN their races! This is from a sample of 127 races over 5 years, so robust. If we oppose the favourite in this category we should have a very good reason for doing so! Assuming they have runners or rides we also highlight the trainers and jockeys most likely to be involved given current performances. Tonight we will firm this piece up once we have the runners and riders and confirmation of ground conditions. We will post our selections and offer a brief rationale. First of all we are not saying do not back Paul Nicholls runners for the next 7-14 days but we can tell you he has just given his horses their flu vaccinations and they are likely to run below par in the coming days. We note he is currently 1-17 before racing tomorrow! Suffice it to say we will not be involved with his runners! He runs two at the course on Friday. Philip Hobbs runs five at Chepstow and he looks likely to score at least one winner. Strangely, Evan Williams runs three outsiders whilst Colin Tizzard runs five at double-figure prices and Venetia Williams two and both are unfancied! Jockeys on show tomorrow include Harry Cobden, who is number one on our leader-board and he has 6 rides. Richard Johnson has 5 rides, Adam Wedge has 3 and Sam Twiston-Davies and Bryony Frost are not at the course. We think Sam is travelling north to win on Gettysburg Address at Musselburgh. HIS ONLY RIDE - HINT! Trouble with this selection there is only three runners and the jockey gets into a tangle with tactical racing (see Paul Nicholls). This looks a place pot chance and our view is the fancied runners will come to the fore. 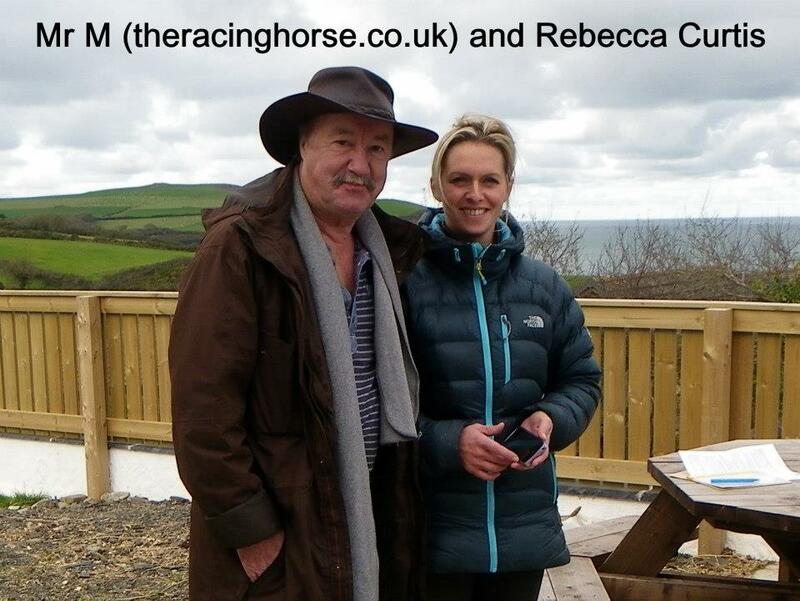 Rebecca Curtis might have at least one winner and Philip Hobbs looks the man to beat! CHEPSTOW are offering discounts for advance bookings. Gates open at 11.05am, first race is 13.05 and last at 15.50. There are 6 jump races.